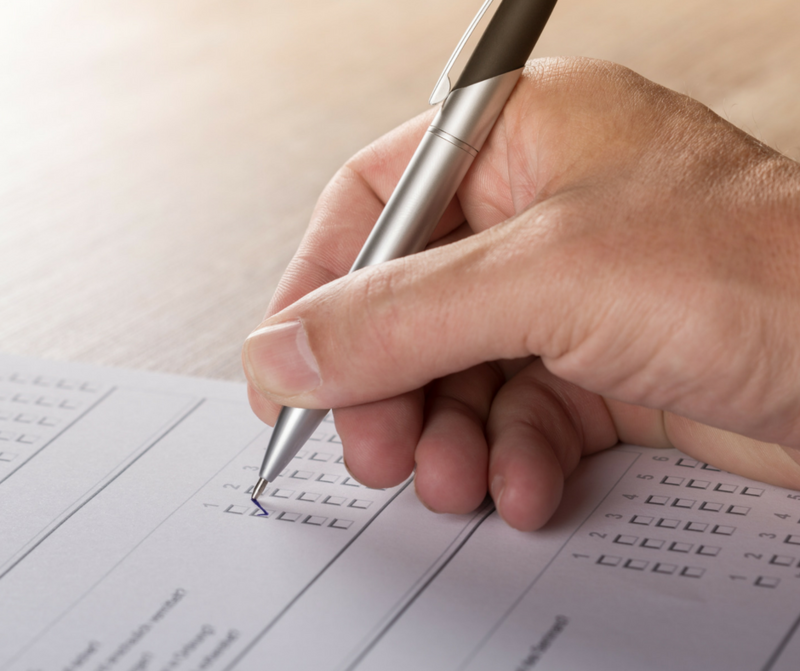 Review your facility’s most recent CMS and accreditation surveys. CMS surveyors (typically your state health department) will gather information about your facility prior to their arrival, including prior surveys. The surveyors may opt to focus on problematic areas from the most recent CMS and/or accreditation surveys. When the surveyors arrive, they will have knowledge of the number of Operating Rooms and the types of services provided at your facility. Surveyors will spend most of their time at your facility directly observing practice and may ask for specific policies based on those observations. However, survey preparation should include creating a policy and procedure manual to provide the surveyors to save scrambling for specific policies during the survey. Obtain a current copy of the CMS State Operations Manual, Infection Control section (42 CFR §482.42 for hospitals and 42 CFR §416.51 for ambulatory surgery centers or ASCs). Additionally, use the CMS hospital infection control worksheet for hospitals or ambulatory surgery centers. The worksheets are fairly comprehensive, but don’t include all of the details that may be surveyed or that are contained in the State Operations Manual. Although CMS has developed different worksheets for each setting, there are several overlapping areas. A specific person or persons must be appointed in writing to coordinate the infection control program within the facility. If this is a shared position, all persons responsible for the program must have the appropriate education, although certification is not required. Surveyors will review the personnel file of anyone assigned to coordinate the program. For ASCs, the designated person must be a licensed professional although this isn’t a requirement for hospital infection preventionists. The verbiage in the Conditions of Participation (CoPs) and the Conditions for Coverage (CfCs) include “an explicit Infection Control Program”. This statement encompasses the Infection Control Annual Risk Assessment, Annual Plan and Evaluation, which should be available when the survey team arrives. For ASCs the plan must be specific to and include (but not be limited to) the surgical area, the waiting room, and the recovery area. Additionally, policies and procedures must be based on nationally recognized guidelines relevant to the services offered. For example, surgical policies may be based on the Association of periOperative Nursing (AORN) guidelines while non-surgical policies may be developed using recommendations from the Centers for Disease Control and Prevention (CDC) Guidelines. Policies must also comply with State and Federal laws (e.g. OSHA bloodborne pathogens standard) and surveyors will look for evidence of compliance with law and the guidelines your facility states it follows. Generally, surveyors will compare policy with the national standards with which they are most familiar. Therefore, policy scrutiny and conclusions reached may vary from one survey to the next. Ensure committee minutes reflect the decision about which standards to follow or use another form of documentation (e.g. ad hoc meeting, special memo to committee members reflecting the decision with rationale, etc.) that can be provided to the surveyors, if asked. Hospitals may be asked about infection control involvement with construction and renovations, including the policy detailing the infection control risk assessment relevant to construction. Surveyors will look for evidence of compliance with notifiable disease reporting according to your state’s requirements. This may be accomplished by speaking with the Infection Preventionist(s), which is more likely in an ASC or by asking to see evidence of compliance such as worksheets or a tracking document. Electronic forms of documentation are acceptable, although surveyors won’t have access to your facility’s system, so be prepared to print out the documentation, if asked. Evidence of active surveillance, including post-discharge follow up for surgical infections in both hospital-based and ASCs is another aspect of the program that will be scrutinized. The ‘evidence’ can take many forms but be sure the surgical site infections that are followed are included in the risk assessment, annual plan, and evaluation. This has been a brief discussion about some of the major aspects of the infection control program that may be assessed during a CMS survey. Since all surveyors don’t emphasize the same CMS Conditions, all of the above elements may not be examined. However, if you prepare for the most rigorous scrutiny, you will be well on your way to a successful survey! Stay tuned for Part II which will focus on observed practices during a survey! Contact Infection Control Results for assistance with survey preparation today.